​Learn How To Optimize Your Payables Process and Go Paperless! Many organizations are considering ways to reduce the manual processes associated with processing, routing, coding, approving and entering supplier invoices. 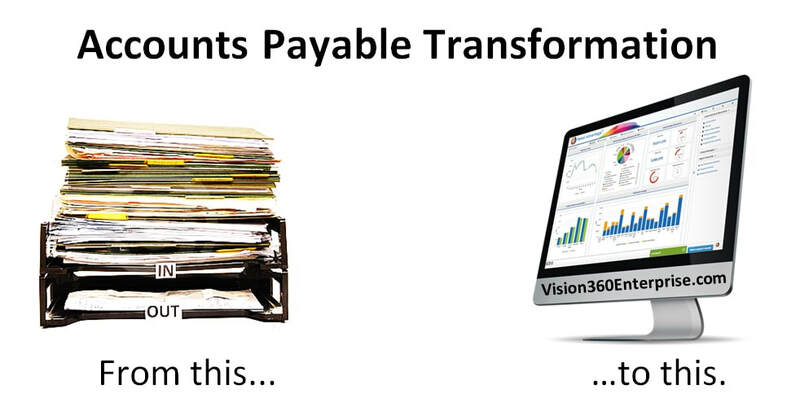 Want to find out what it takes to get paperless accounts payable and streamline your accounts payable processing? Then you don't want to miss this webinar. Who Should Attend: AP Managers, Controllers, CFO"s, IT Managers or anyone interested in improving their AP process and going paperless to reduce costs, save time & money. During this webinar we will review challenges in accounts payable, costs associated with processing invoices, drivers for improving accounts payable, paperless processing, integration with systems like Oracle, SAP, JDE, MS Dynamics, building your business case and then Q&A's. Past attendees include industries like manufacturing, retail, healthcare, higher education, biotech, pharmaceutical. transportation, financial, distribution, legal and many, many more! This is a great webinar for anyone who is wondering if AP automation, invoice workflow or paperless AP processing is right for them. Space is Limited! This Webinar Will Fill Up FAST! look at our AP process"
"Thank you for taking the time to answer our questions"
"We had no idea it was this easy"
"Great webinar, right to the point"
Don't Want to Wait for the Next Webinar? We'd be Happy to Send You a Previously Held Recorded Webinar Right Away.